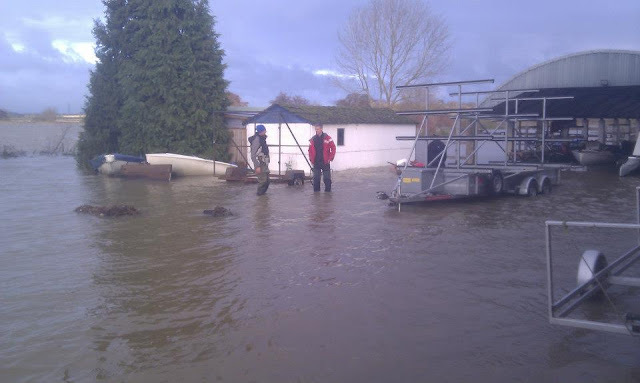 Piers's Farr 3.7 has been damaged in all the bad weather and flooding recently. Peirs's was building at Radley College, in one of there boat houses near the river Thames. 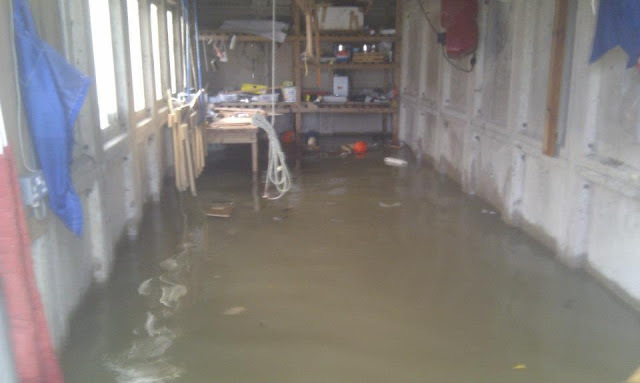 Unfortunately the river flooded quite severely and came into his build space. He tells me that the building frame is definitely damaged beyond repair as well as the laser cut wood parts and, I think even the main beam. 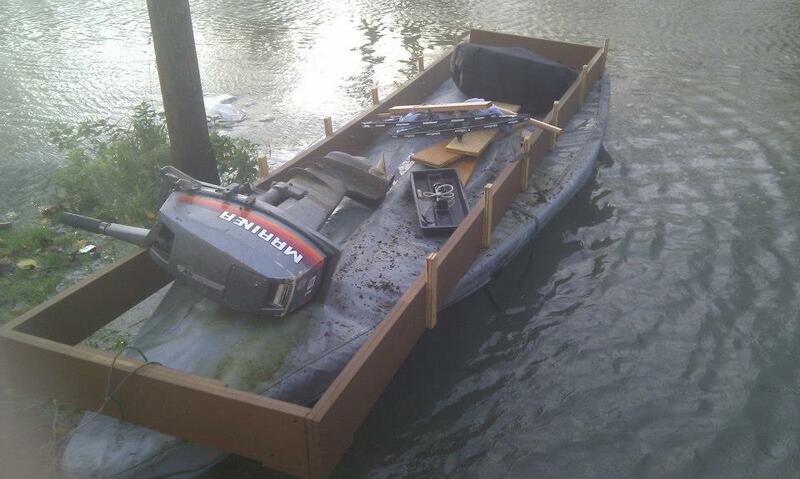 His tools are also flood damaged. But the plans survived on a high self. A sad day :-( ... edit: the plans didn't survive either!